I've been a bad blogger this week. A combination of not feeling well and having lots going on at home meant I hadn't much to blog about and no time to do it in anyway! And a busy weekend ahead won't remedy this either but I'll be back on the blogging wagon next week, I promise...with a brown boot update! Thank you to everyone who re-assured me as I worried about my son on his first overnight school trip. He bounced back in the door this afternoon and rated the trip as 9.9 out of 10. He slept 9 hours each night, ate his greens and only brought me back a Tesco grocery bag-full of washing. Not what I was expecting at all. 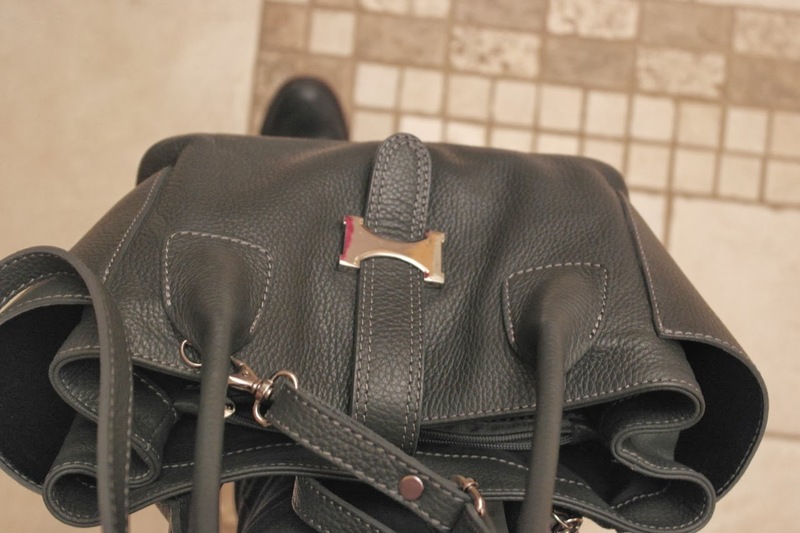 So here's what I wore today for work, pick-ups and swimming classes.. 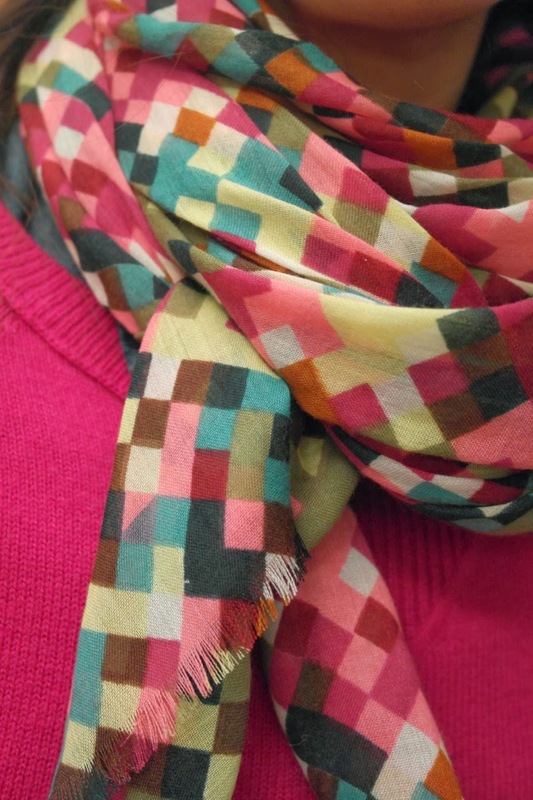 So excited to be sharing this new scarf from the shop. As soon as the delivery arrived, I pulled it out and put it on. Love it! It's the same as my Fabulous Neon scarf but with more autumnal colours, pinks, plums, greens and browns. You can have a closer look over on the shop on this link..
That has to be one of my favourite scarfs, I just love the colours. I don't wear much colour but when I see you in something like this, I just want to give it a try. I saw a lady wearing a jumper in a similar colour yesterday and nearly asked her where it was from - it was just really lovely and eye catching. 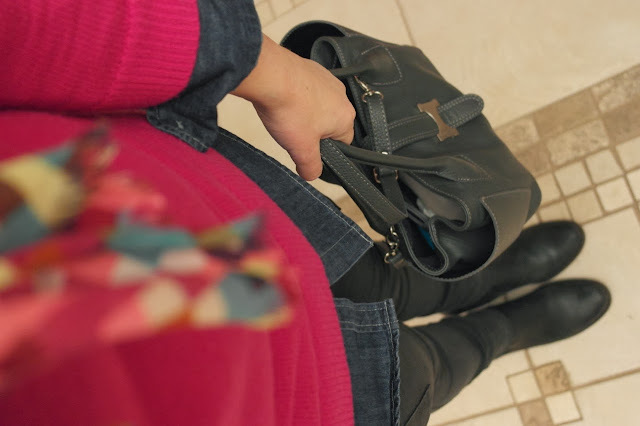 I have to say, all this is beautifully put together and you make layering look easy. Another thing I can't do well! Glad to hear all went well on the trip and didn't you get away lucky with only one carrier bag of washing! I need some colour in my life and keep veering towards pink.....may have to take the plunge now Avril as I love this outfit.....the scarf is so perfect with it too! I shall by stealing your style! Now that is what I call a good versatile scarf! 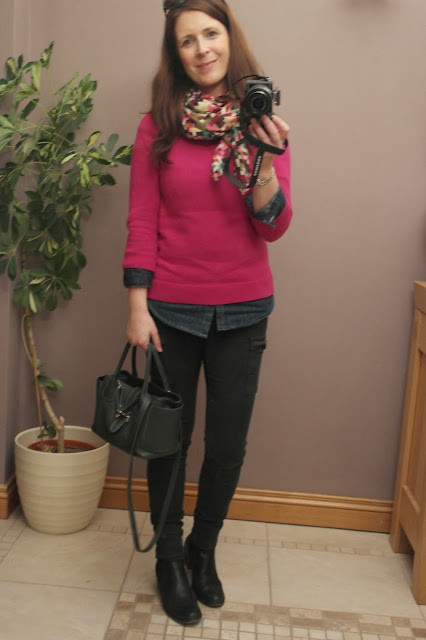 I love the denim under the pink - I have all these items so I shall be copying you!! Hi Avril, thank you so much my harlequin scarf arrived in the post today. I absolutely love it! My 12 yr old daughter Anna wants it too!